Description: Thomas John Barnardo (born 4 July 1845) was a philanthropist and founder and director of homes for poor children, born in Dublin. From the foundation of the first Barnardo's home in 1870 to the date of Barnardo's death, nearly 100,000 children had been rescued, trained and given a better life. And so to this spot, he began his excellent work in a building on this site in 1866. 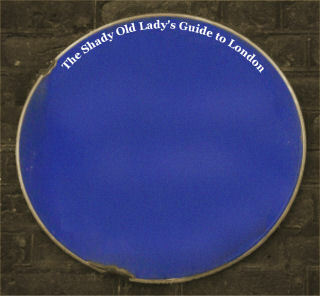 A blue plaque marks the spot. Barnardo died on 19 September 1905 and was buried in front of Cairns House, Barkingside, east London. The house is now the head office of the children's charity he founded, Barnardo's.